Human papillomavirus (HPV) infection represents the primary cause of anogenital premalignant and malignant disease. Regarding the high prevalence of cervical HPV infection and the increasing incidence of HPV associated oropharyngeal cancer in recent years, a significant viral transmission from the cervical to the oral site, possibly depending on the sexual behavior must be considered. The present study aims to determine the prevalence of oral HPV infection in cervical HPV positive and negative women and their sexual partners. Cervical HPV positive and negative women and their sexual partners took part in the study. Cervical smears, oral smears and mouthwashes were taken from women attending gynecological outpatient clinics in two different institutions. Further, oral smears as well as mouthwashes of their sexual partners were obtained whenever possible. HPV genotyping was performed using the Cobas® polymerase chain reaction and nucleic acid hybridization assay for the detection of 14 high-risk HPV types. In addition, all participants were invited to complete a personal questionnaire. 144 HPV positive and 77 HPV negative women and altogether 157 sexual partners took part in the study. Age, sexual behaviour, medication, smoking and alcohol consumption were distributed equally in both groups. 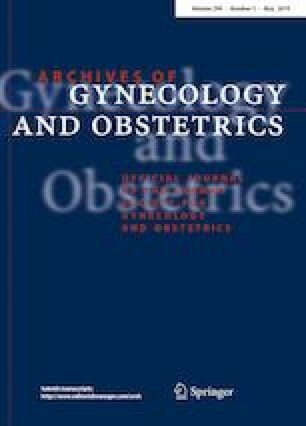 Cervical HPV positive women had a significantly higher number of sexual partners. One woman with a HPV positive cervical smear and one partner of a woman with a HPV positive cervical smear showed an oral HPV infection. No oral HPV infections were detected in the HPV negative control group. The overall incidence of oral HPV infection was 0.5%, the incidence of oral HPV infection in women with a positive cervical smear was 0.7%. The data demonstrate that the overall risk of an oral HPV infection is low. HPV transmission to the oropharynx by autoinoculation or oral-genital contact constitute a rare and unlikely event. TKE, TW, KW, CJD. SM and JKSG protocol/project development. TKE, TW, KW, KS, PB,FB and JKSG data collection and management, data analysis. TW, FB and CJT cytopathologic evaluation. KW, TKE and JKSG manuscript writing/editing. TKE, SM, CJT, UJ, CJD and JKSG: protocol/project development, data analysis. UJ, JKSG: statistical analysis. All authors interpreted the results and approved the final manuscript. Authors JKSG and CJD declare that they have received speaker honoraria from companies MSD and Roche. Author SM declares that he has received speaker honoraria from Astra Zeneca, Novartis, MSD, Roche, Clovis, Teva, Tesaro and Sensor Kinesis. SK, PB, CJT, UJ, KW, FB and TW declare no conflicts of interests. There was no financial support of this study. Authors TKE and JKSG state that they have full control of all primary data and that they agree to allow the Journal to review their data if requested. All procedures performed in studies involving human participants were in accordance with the ethical standards of the institutional and/or national research committee and with the 1964 Helsinki Declaration and its later amendments or comparable ethical standards. The study has been approved by the Institutional Review Board of the University of Munich (Number: 645-16). Informed consent was obtained from all patients.